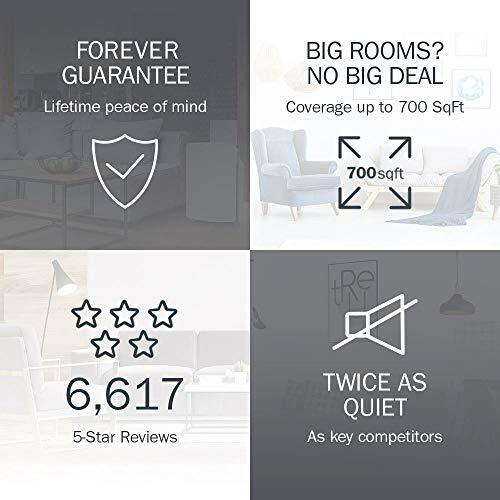 Designed for rooms up to 700 sq. ft. To help keep a large room comfortable. 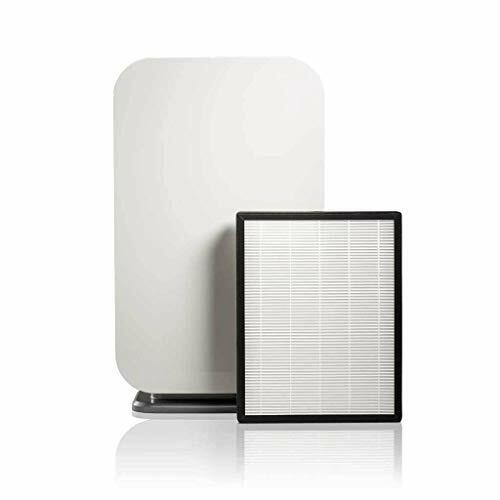 Know when to change a filter A light indicator turns on when the filter needs to be replaced. Timer Allows preset operation for up to 12 hours for automatic use and to reduce energy consumption. Variable speed selector Allows you to easily choose 4 fan speeds for custom operation. 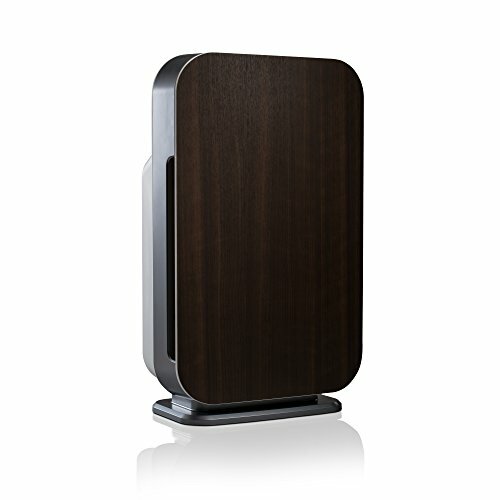 Tower design Provides a sleek look. 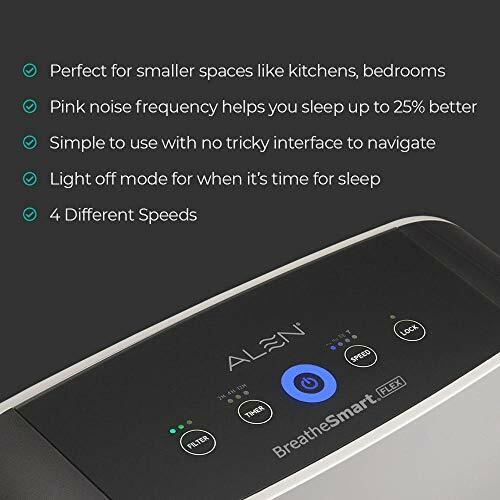 Ideal for apartment living, nurseries, laundry rooms, and other small spaces, the Alen BreatheSmart FLEX air purifier offers a 700 SqFt coverage area. 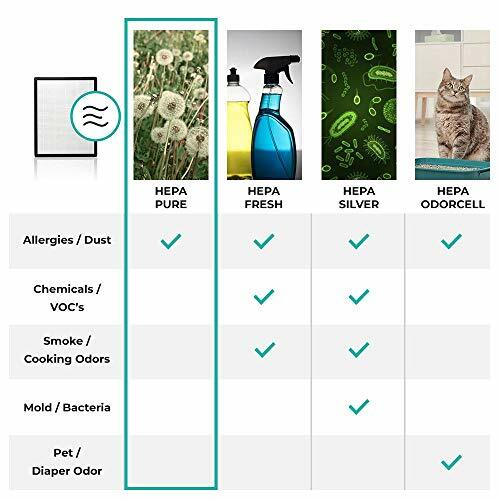 Alen's Pure Filter is best for removing airborne allergens and dust. 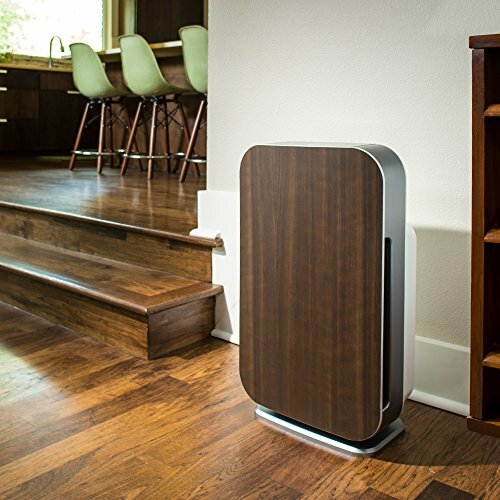 You'll receive: 1 BreatheSmart FLEX air purifier, 1 HEPA-Pure Filter, 1 Espresso panel, and Forever Guarantee (Lifetime Warranty).